One size does not fit all. All my nutrition counselling services are designed to meet your unique health challenges and diet and nutrition requirements. The packages listed are merely suggestions for how you can get started on the nutrition aspect of your health journey. All consultations have a focus on digestive health and how what you eat along with your body’s ability to process your food impacts your current and future well-being. The Diet and Nutrition Check-Up assesses your nutrition needs along with diet and nutrient intake. It is designed to pinpoint what you are already doing well and where improvements could be made. This check-up provides recommendations for foods and dietary habits that should be adopted to fill any gaps identified in your assessment. All information pertaining to your assessment will be delivered in your nutrition resource package. Prior to your one-on-one consultation, you will be asked to complete and return my Intake Form that will request information on your nutrition and health goals, your medical history and your eating and other lifestyle habits. This includes a dietary recall record for completion. 60-70 minute one-on-one consultation (in-person or by phone, Skype or Zoom) to review your assessment feedback and recommendations. The Full Assessment expands on the Diet and Nutrition Check-up, to include an in-depth analysis of your nutritional status. Your nutritional deficiencies and imbalances are identified, in addition to an assessment of your diet and nutrient intake. Results of this comprehensive evaluation are used to prepare a customized nutrition protocol designed to help you achieve your specific diet and health goals. 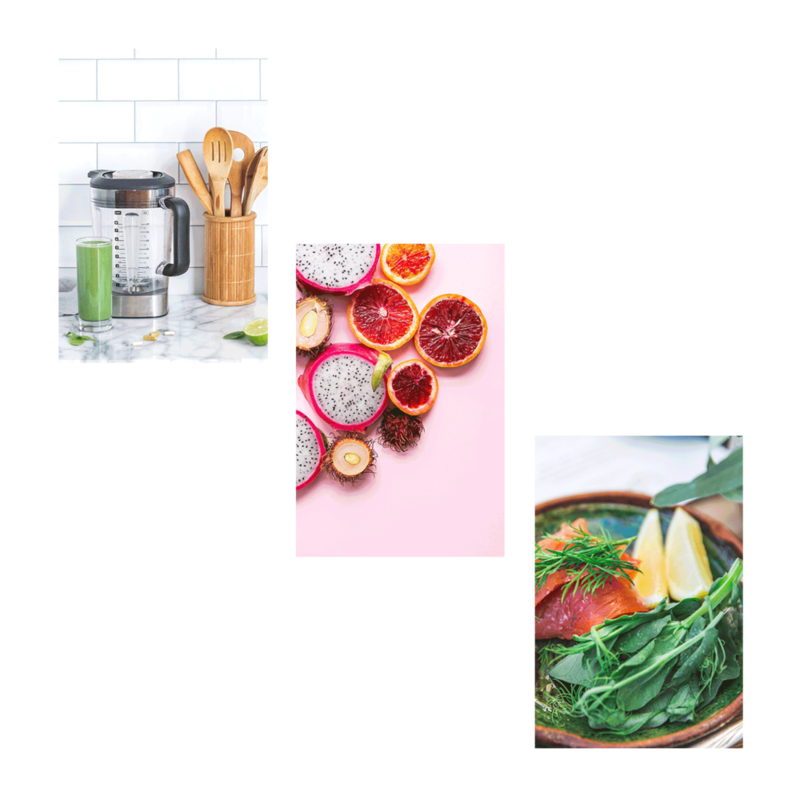 Your personalized package will include whole food and supplement recommendations designed to support identified nutritional imbalances and deficiencies. It will also include other tips (food selections, dietary habits) to fill any gaps found in your nutrition profile. Prior to our initial consultation, you will be asked to complete and return my Intake Form and Toxicity Assessment Questionnaire. These forms ask you about your nutrition and health goals, your medical history and your eating and exercise habits. The profile also includes a four day dietary recall record for completion. 75 minute one-on-one consultation (in-person or by phone, Skype or Zoom) to review your assessment results and customized nutrition protocol. Meet to keep yourself motivated, ask more questions or introduce next steps to enhance your healing journey. You may also use this consultation like a Check-In or Accountability session to help keep yourself on track with the guidelines and practices that are serving your health. One 45 - 60 min in-person or by phone. Package prices for multiple follow-up sessions can be purchased at a reduced rate. Ask me for more information. Unsure where to start? Book a complimentary 20 minute Discovery Session with me to explore how a nutritional counselling and consultation can support your unique needs and desired outcomes. All Discovery Sessions are conducted by phone, Skype or Zoom only. Want to hear more from Michal? Tune in to Wellness Warriors Radio! Copyright © Michal Ofer. 2019. All rights reserved.